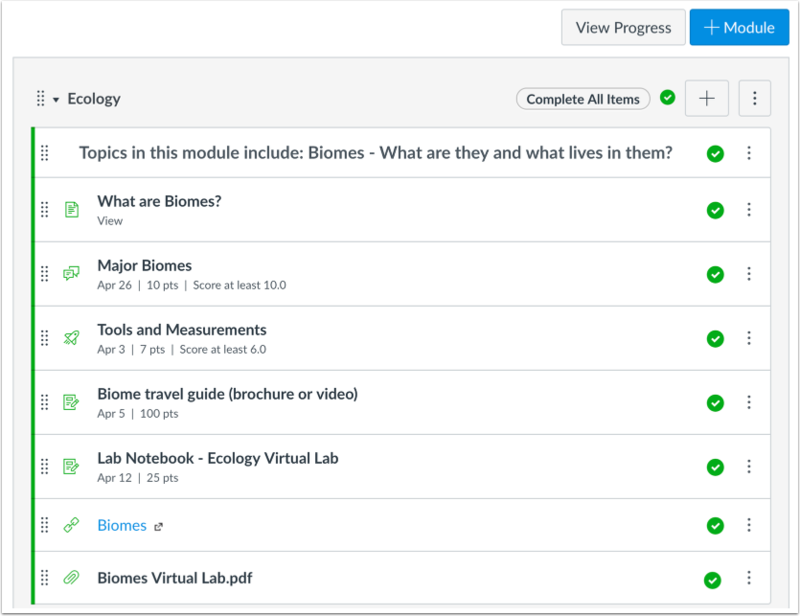 Modules allow instructors to organize content to help control the flow of the course. Modules are used to organize course content by weeks, units, or a different organizational structure. Modules essentially create a one-directional linear flow of what students should do in a course. Each module can contain files, discussions, assignments, quizzes, and other learning materials. Module items can be added to the course from existing content or new content shells within the modules. Course content can be added to multiple modules or iterated several times throughout an individual module. Modules can be easily organized using the drag and drop feature. Elements within the modules can also be reorganized by dragging and dropping. Note: Keyboard shortcuts can be used to navigate the Modules page. Press the comma key and a pop-up window with keyboard shortcuts will appear for keyboard navigation. Instructors can add all course materials in modules, even if they are assigned to specific students, sections, or groups. Students only view the module content assigned to them in the modules structure. 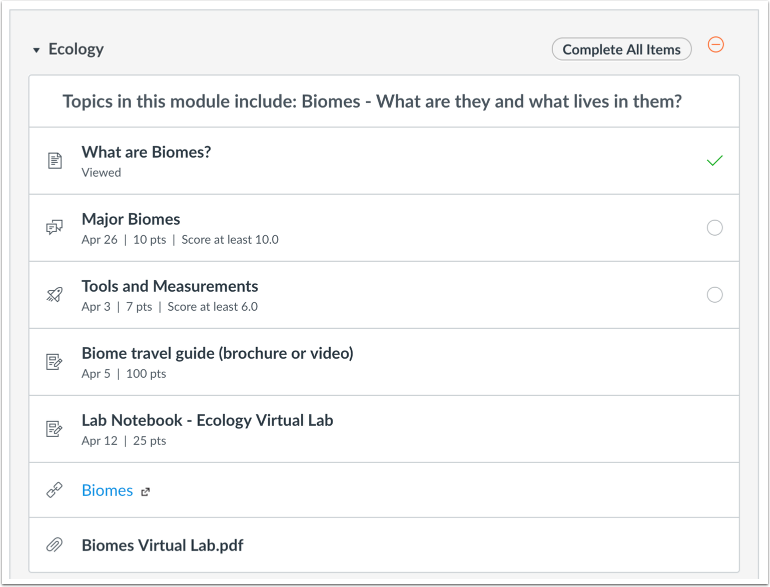 Each module can contain files, discussions, assignments, quizzes, and other learning materials. Modules can be expanded and collapsed. Table of Contents > Canvas Features > What are Modules? Re: Can I require that only a percentage of a module's assignments be completed?